My current obsession are gladiator flats for summer. Just in time for the official first day of summer, it’s only fitting to let you guys in on a great summer find. I’ve been looking all over online for the knee high style in black and came across these super affordble pair over at Thirteen Vintage. Unless you’re going designer, I really don’t think you need to spend more than $40 on this item. 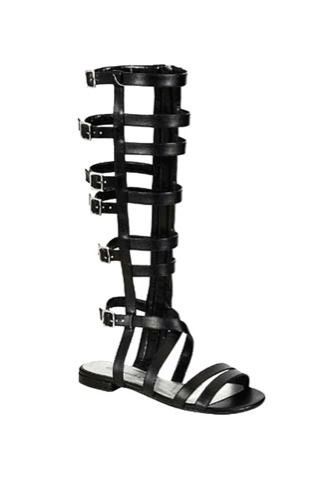 If you’re really tight on cash, there’s always DIY options – check out a pair & and a spare for a 11 step DIY to creating Alexander Wang inspired gladiator sandals. The gladiator sandals are a hot trend right now and are easily versatile – you can pretty much wear them with anything. These will definitely be my go to shoes for the summer. This season it’s all about revealing what’s inside your purse. So you definitely don’t what to carry items in this clutch that you wouldn’t want visible to the public. But there’s just something about a lady who let’s you see what’s inside her purse – she’s very comfortable with herself and keeps it simple. No fuss, just the musts! 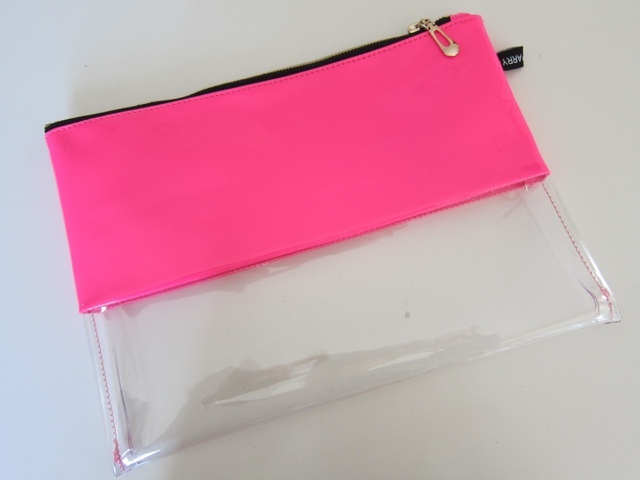 Go for a colour block neon style over at Hello Parry for only $38.